Don't be "consistent" but be simply true. Chicago sounds rough to the maker of verse. One comfort we have: Cincinnati sounds worse. I don't embrace trouble; that's as bad as treating it as an enemy. But I do say meet it as a friend, for you'll see a lot of it and had better be on speaking terms with it. You may have genius. The contrary is, of course, probable. Greatness is not where we stand but in what direction we are moving. We must sail sometimes with the wind and sometimes against it, but sail we must and not drift nor lie at anchor. 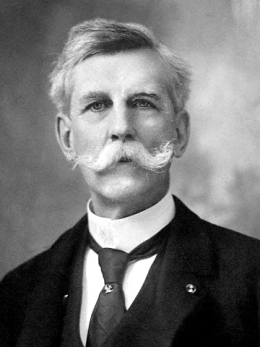 49 quotes by Oliver Wendell Holmes.